No patches have been submitted. There is a pinhole on right side that triggers FEL mode. Start from the top left area. gently insert your plastic tool into the gap and go around the complete tablet counter-clockwise. 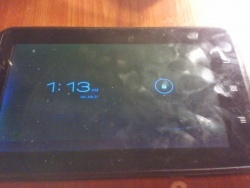 there are no screws holding the tablet in place and no ribbons to be careful of. 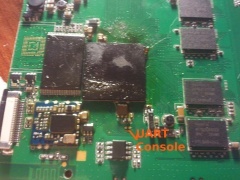 There pads to the immediate left of the SoC are RX and TX, just solder on some wires according to the UART howto. This device urgently needs a set of decent pictures, as the first set was taken rather hastily and was never steady.